Let the collections at Serlachius Museum Gosta and Tampere City Library, Metso capture your imagination. Discover out-of-the-way places like Seitsemisen Kansallispuisto and Serlachius Museum Gustaf. Take a break from Tampere with a short trip to Petajavesi Old Church in Petajavesi, about 1h 50 min away. There's much more to do: look for all kinds of wild species at Hatanpaa Arboretum, stroll through Rauhaniemi Beach, see the interesting displays at The Finnish Labour Museum Werstas, and pause for some serene contemplation at Finlayson Church. For where to stay, photos, ratings, and other tourist information, use the Tampere trip planner . Adelaide, Australia to Tampere is an approximately 29-hour flight. Due to the time zone difference, you'll gain 7 hours traveling from Adelaide to Tampere. Plan for somewhat warmer temperatures traveling from Adelaide in July, with highs in Tampere at 24°C and lows at 13°C. Finish up your sightseeing early on the 30th (Tue) so you can go by car to Rauma. Rauma is a town and municipality of ca. On the 31st (Wed), examine the collection at Kirsti - Sailor's Home Museum, get to know the fascinating history of Old Rauma, then stop by Ruokapuoti Lumo, then take an in-depth tour of The Old Town Hall Museum, and finally visit a coastal fixture at Kylmapihlaja Lighthouse Island. Plan my trip to Rauma with suggested itineraries provided by Inspirock. Getting from Tampere to Rauma by car takes about 2 hours. Other options: do a combination of train and bus; or take a bus. Expect a daytime high around 24°C in July, and nighttime lows around 13°C. Wrap up your sightseeing on the 31st (Wed) to allow time to travel to Pietarsaari. Start off your visit on the 1st (Thu): explore the striking landscape of Kurjenrahka National Park. To find where to stay, traveler tips, more things to do, and other tourist information, read Pietarsaari online journey planner . Traveling by car from Rauma to Pietarsaari takes 1.5 hours. July in Pietarsaari sees daily highs of 25°C and lows of 13°C at night. Wrap up your sightseeing by early afternoon on the 1st (Thu) to allow enough time to travel to Turku. Discover out-of-the-way places like Tulliniemi Nature Path and The Archipelago Trail. Venture out of the city with trips to Hanko (Hanko Water Tower, Gunnarstrand, & more). 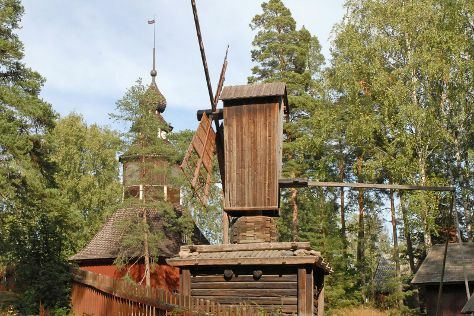 The adventure continues: examine the collection at Kylamaki Village of Living History, have fun at Adventure Park, and don't miss a visit to Kultaranta Garden. 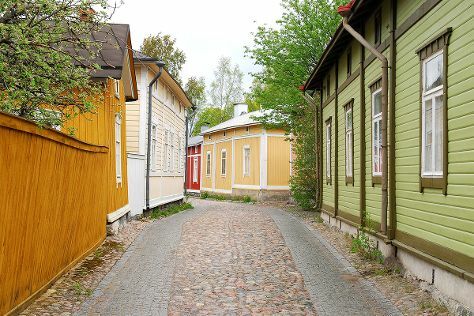 To see where to stay, traveler tips, and more tourist information, read Turku online trip builder . You can drive from Pietarsaari to Turku in an hour. In August, daily temperatures in Turku can reach 23°C, while at night they dip to 12°C. 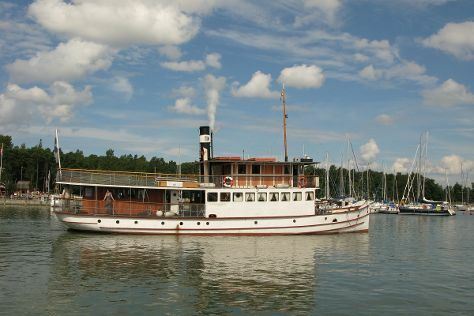 Finish your sightseeing early on the 4th (Sun) to allow enough time to travel to Mariehamn. Mariehamn is the capital of Åland, an autonomous territory under Finnish sovereignty. On the 5th (Mon), tour the pleasant surroundings at Lilla holmen, then step off the mainland to explore Kobba Klintar, then examine the collection at Aland Hunting & Fishing Museum, and finally steep yourself in history at Salis Batteri. 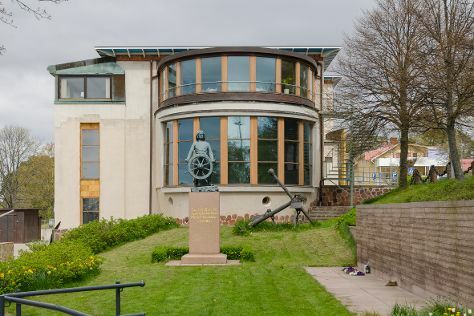 On your second day here, brush up on your military savvy at Aland Maritime Museum, then take a leisurely stroll along The Maritime Quarter, then examine the collection at Kastelholm Castle, and finally explore the historical opulence of Jan Karlsgården Outdoor museum Jan Karlsgården. To find maps, where to stay, other places to visit, and tourist information, you can read our Mariehamn online road trip planner . Fly from Turku to Mariehamn in 2 hours. Alternatively, you can ride a ferry. In August, plan for daily highs up to 22°C, and evening lows to 13°C. Wrap up your sightseeing on the 6th (Tue) to allow time to travel to Savonlinna. On the 7th (Wed), pause for some serene contemplation at Pikkukirkko, then take in the history at Salpa Line, and then contemplate the waterfront views at Siikalahti Wetland. On the 8th (Thu), you'll have a packed day of sightseeing: explore the striking landscape of Kolovesi National Park. To see reviews, other places to visit, traveler tips, and tourist information, use the Savonlinna trip site . Traveling by flight from Mariehamn to Savonlinna takes 5.5 hours. Alternatively, you can do a combination of flight and train; or do a combination of flight and bus. In August, plan for daily highs up to 22°C, and evening lows to 13°C. Cap off your sightseeing on the 8th (Thu) early enough to travel to Inari. Start off your visit on the 9th (Fri): explore the wealth of natural beauty at Lemmenjoki National Park. Get ready for a full day of sightseeing on the 10th (Sat): take in the spiritual surroundings of Saint Tryphon Pechenga Orthodox Church, then surround yourself with nature on a nature and wildlife tour, and then take in the architecture and atmosphere at Pielpajarvi Wilderness Church. To find ratings, traveler tips, more things to do, and tourist information, read our Inari trip maker tool . Traveling by flight from Savonlinna to Inari takes 6.5 hours. Alternatively, you can do a combination of train and flight; or drive. Traveling from Savonlinna in August, expect Inari to be little chillier, temps between 19°C and 9°C. Cap off your sightseeing on the 10th (Sat) early enough to travel to Helsinki. You'll discover tucked-away gems like Seurasaari Island and Open-Air Museum and Kansallisgalleria. Satisfy your inner culture vulture at Katajanokka and Castle Hill. You'll find plenty of places to visit near Helsinki: Arboretum Mustila (in Elimaki), Nuuksio National Park (in Espoo) and Kotka (Linden Esplanade & Beach Mansikkalahti). Next up on the itinerary: browse the eclectic array of goods at Hakaniemi Market, enjoy the sand and surf at Aurinkolahti Beach, and play a few rounds at Tapiola Golf. For maps, more things to do, other places to visit, and tourist information, read our Helsinki trip itinerary maker tool . You can fly from Inari to Helsinki in 4 hours. Other options are to drive; or do a combination of bus and train. Prepare for a bit warmer weather when traveling from Inari in August: high temperatures in Helsinki hover around 24°C and lows are around 13°C. Wrap up your sightseeing on the 15th (Thu) to allow time to travel back home.